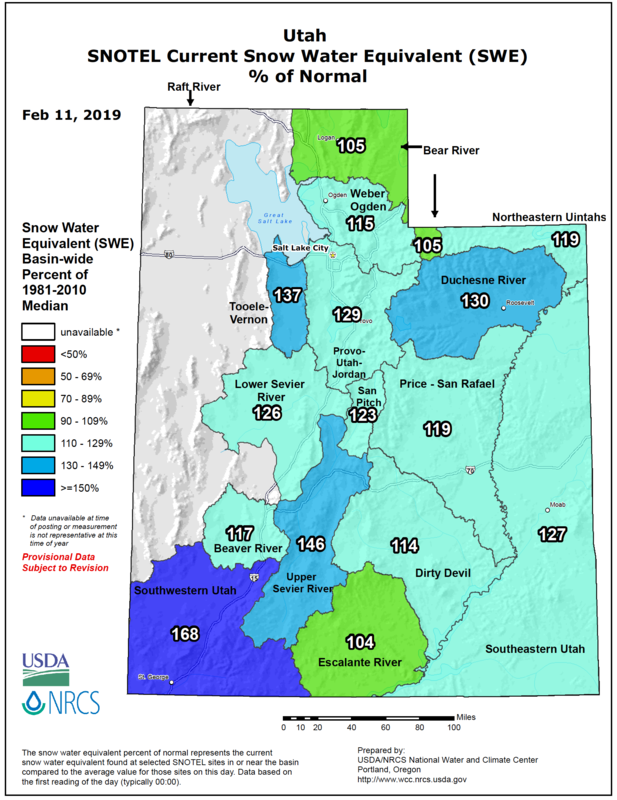 The recent snowfall has put our snow water equivalent values well above normal for this time of year.. A welcome change from the past few seasons, especially last year which was abysmal to say the least. 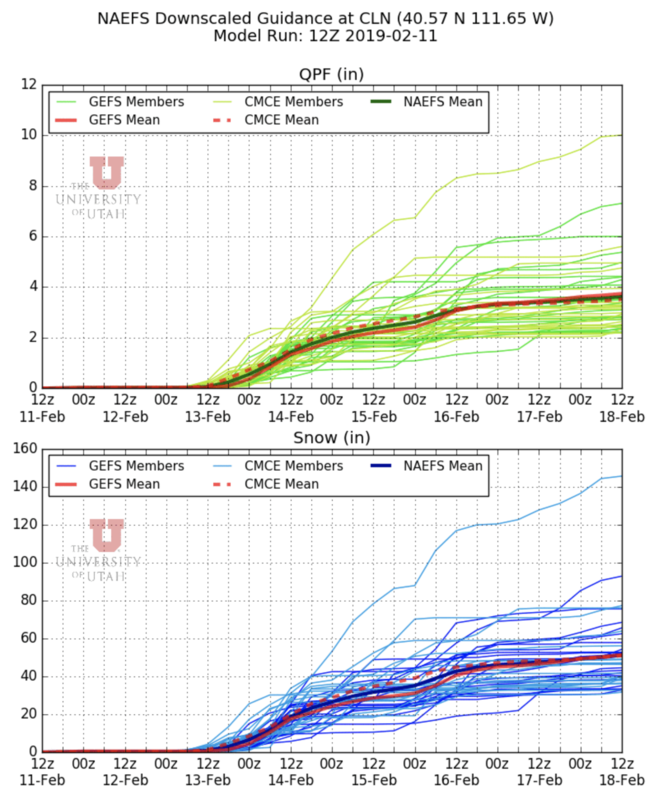 The next few days look relatively calm over the state of Utah as a ridge builds in. We should be experiencing relatively quiescent weather through Wednesday evening, which is when our next system will be moving into the area. The plot below shows the 500 mb heights and vorticity valid Thursday (Valentine’s Day!) at noon. 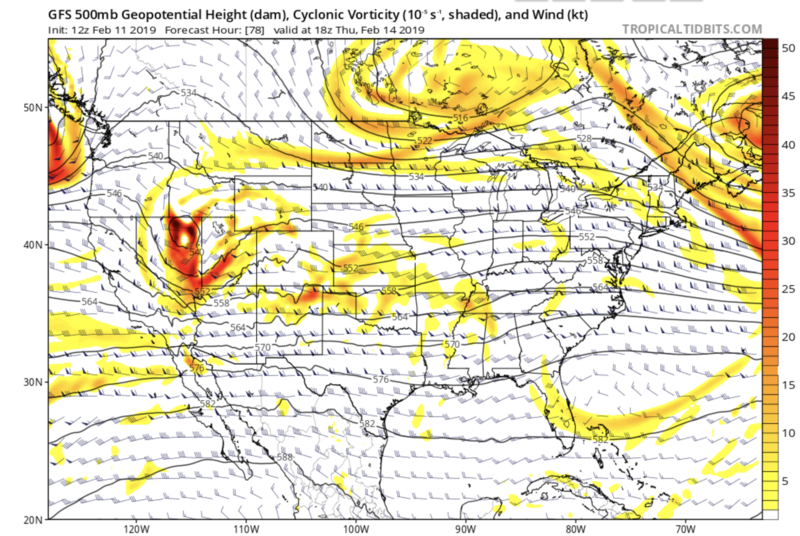 Note the area of red and yellow vorticity shading over Utah, indicating a strong system. 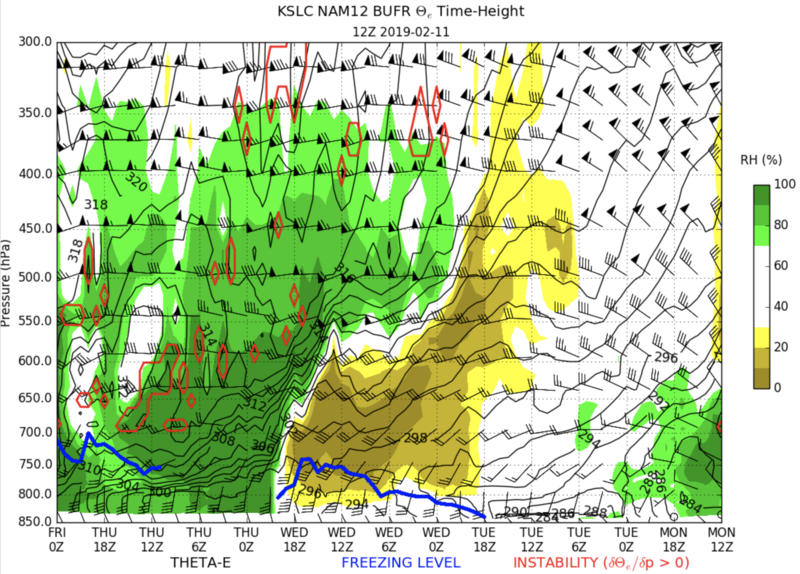 This cold system should contain ample moisture and will result in frozen precipitation at all elevations. Timing of the frontal passage currently looks poised to move through Northern Utah around 5 pm on Wednesday evening (shown as Thursday 00 UTC on plot below). The trough is forecasted pass to our south, which will bring strong southerly winds to the area. 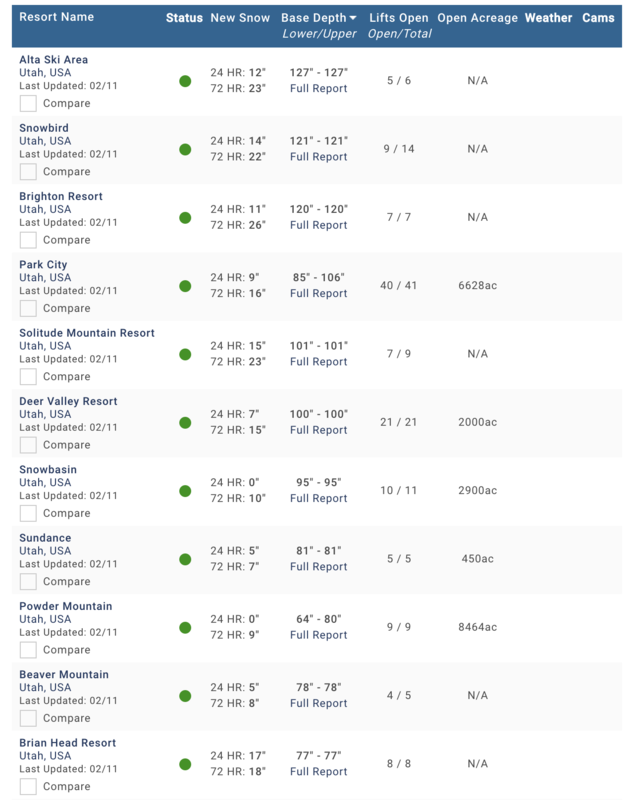 Next Next post: Just tons of snow!